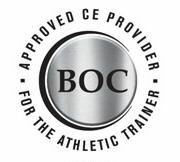 Register for the June Symposium and receive a FREE EBP course! Psychosocial Influences and Mental Health Outcomes in Sports-related Concussion: Learn how psychological treatment can address the emotional response to concussion and promote a more comprehensive recovery. By clicking “Invoice Me” or “Pay Online” you are agreeing to pay the registration fee whether or not you attend the event. If you are no longer able to attend the event, you must formally cancel your registration or you are expected to pay the full registration fee. Please see the cancellation policy to see how cancellations will be reimbursed. All cancellations must be submitted in writing to jillewing@thecorydongroup.com. Cancellations received in writing before 14 days prior to the date of the event will receive a refund minus a 20% administrative fee. Cancellations received in writing 13 days or less prior to the event will not receive a refund. Special consideration regarding refunds may be given in serious, unforeseen circumstances, at the discretion of IATA. In the event that the premises where the event is to be held shall, in the sole determination of IATA, become unfit or unavailable for occupancy, or shall be substantially interfered with, by reason of picketing, strike, embargo, injunction, act of war, act of God, fire or state of emergency declared by any government agency or by reason of any federal, state or local law or regulation or by reason of any other occurrence beyond the control of IATA, IATA may relocate, cancel or terminate the event. In the event of such relocation, cancellation or termination, or any other relocation, cancellation or termination, IATA reserves the right to refund all, none or a portion of registration fees as IATA deems, in its sole discretion, appropriate.